We use modern anaesthetics to ensure you're comfortable. 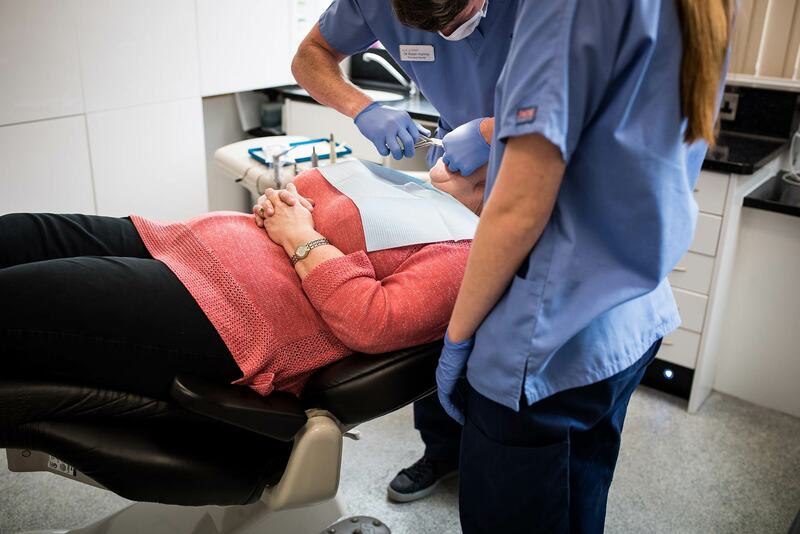 Root Canal Treatment isn’t as scary as it sounds and is a procedure routinely conducted at Hampshire Dentists, Southampton. During this procedure, we carefully remove the infection from the root canal system, thoroughly dis-infect, then re-fill the canal and seal the tooth with either a dental crown or a white filling. An alternative to having a tooth extracted, a root canal treatment is often used as the last resort to save your tooth. Put simply, it’s a means by which an infection occurring at the root/nerve of the tooth can be effectively treated. An infection may occur for various reasons including decay, injury (trauma) or a filling which may have leaked damaging the nerve. Why Have Your Root Canal Treatment Carried out with Hampshire Dentist in Southampton?